At the 12/4/18 Transportation Commission Meeting, the Commission approved a request from Commissioner Montgomery to look into Stop Sign compliance and report back with suggestions to help curb the problem. 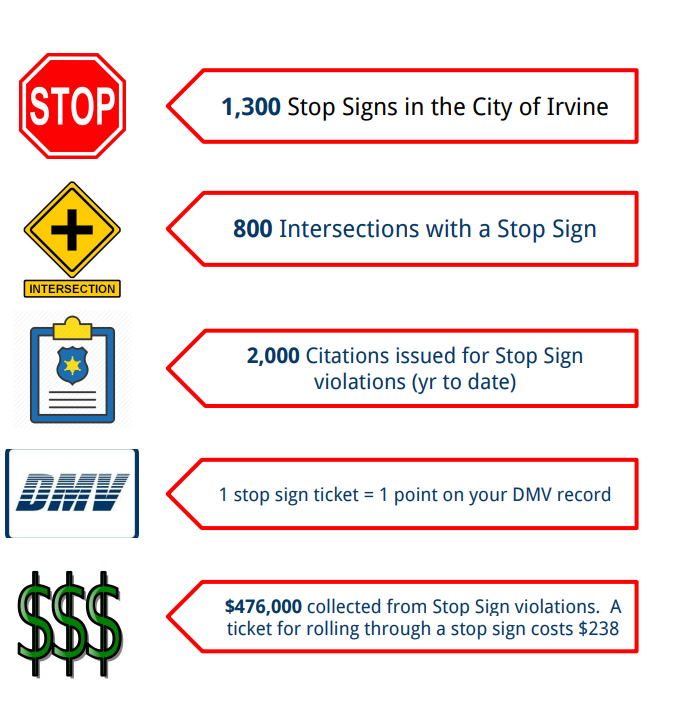 Many complaints from Irvine residents about the lack of compliance with stop signs in Irvine, i.e. “Rolling Stops” prompted this discussion and action item. We all need to take responsibility – drivers, bicyclists, and pedestrians – pay attention and be safe on our roads. Please be extra cautious and alert in school zones.